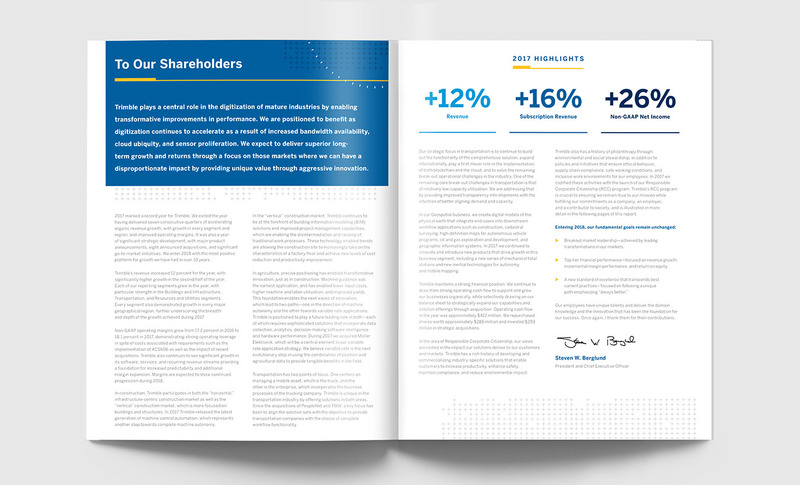 As one of the world’s most innovative companies, Trimble offers best-in-class solutions, from integrated technology to software and service solutions that benefit both business and society. 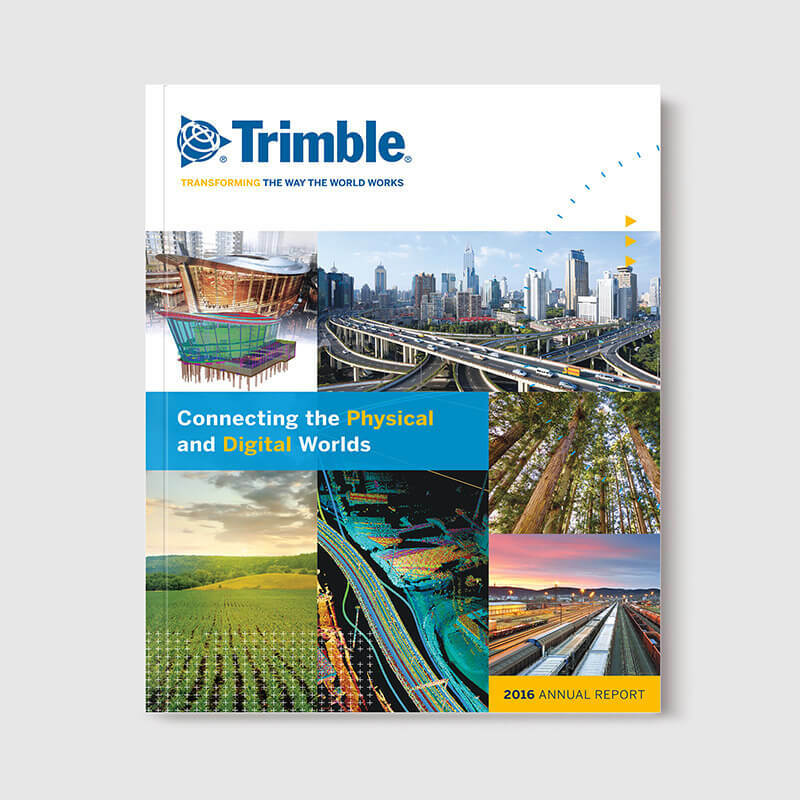 Trimble serves many markets, including agriculture, construction, geospatial, natural resources, utilities, government, and transportation. 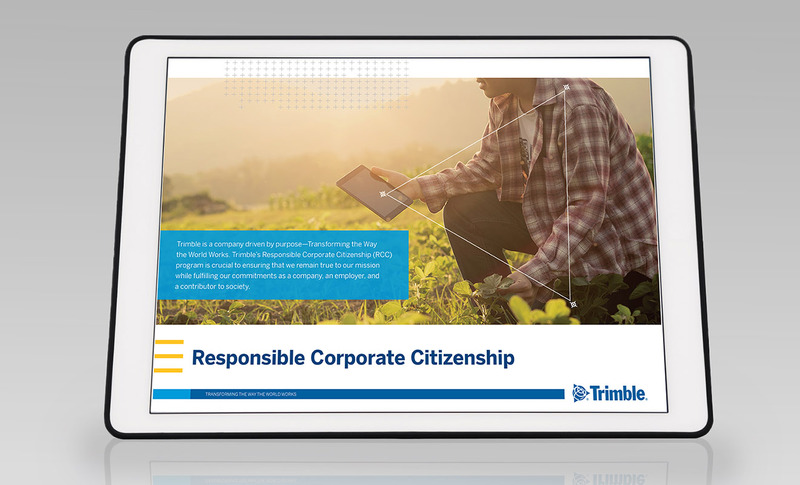 Trimble’s dedication to serving these markets and the people they represent is highlighted by their Responsible Corporate Citizenship (RCC) program, which emphasizes Trimble’s commitment to being a positive force in the world. 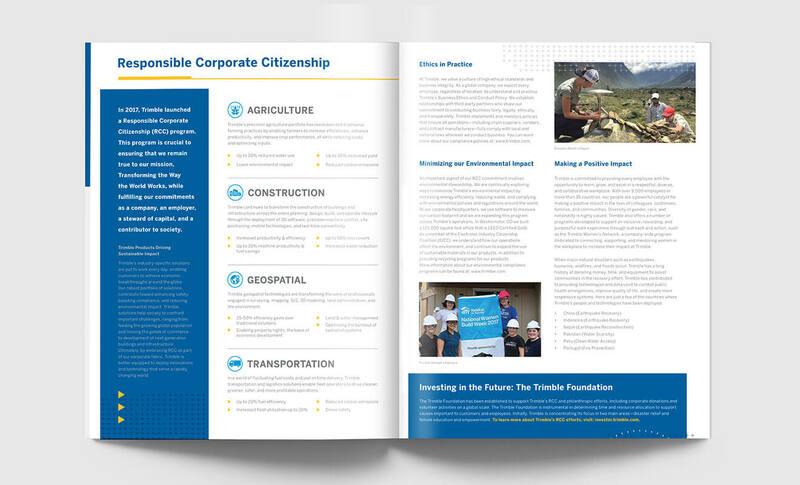 The RCC embodies this role through the contributions of Trimble’s portfolio of solutions; its responsible business practices; its deployment of people, equipment and resources during natural disasters; and the work of the Trimble Foundation. 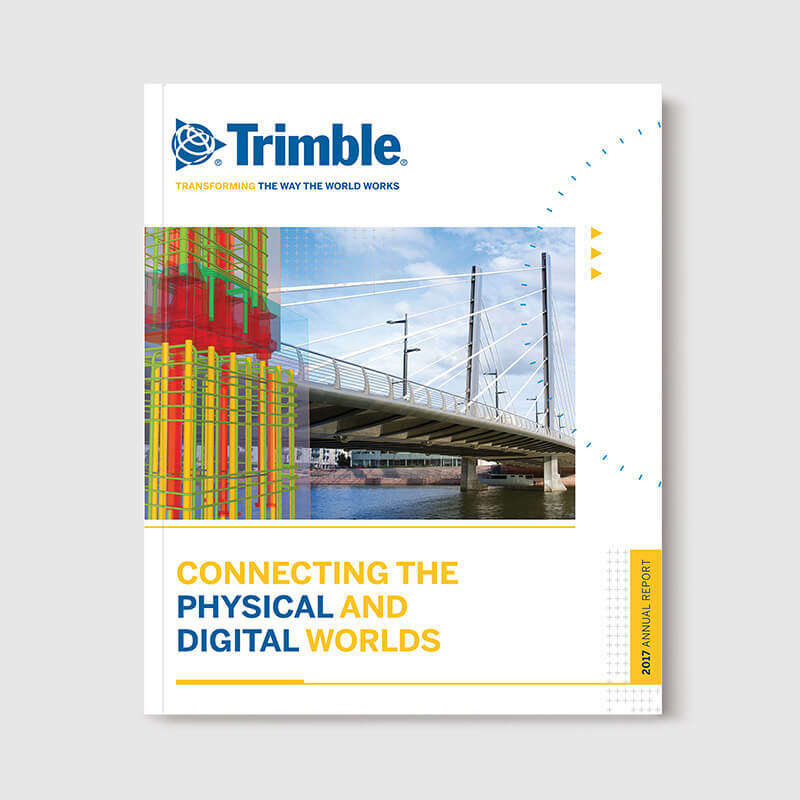 Domoto’s relationship with Trimble began with our support of company events, including the Trimble Dimensions user conference as well as investor relations presentations. 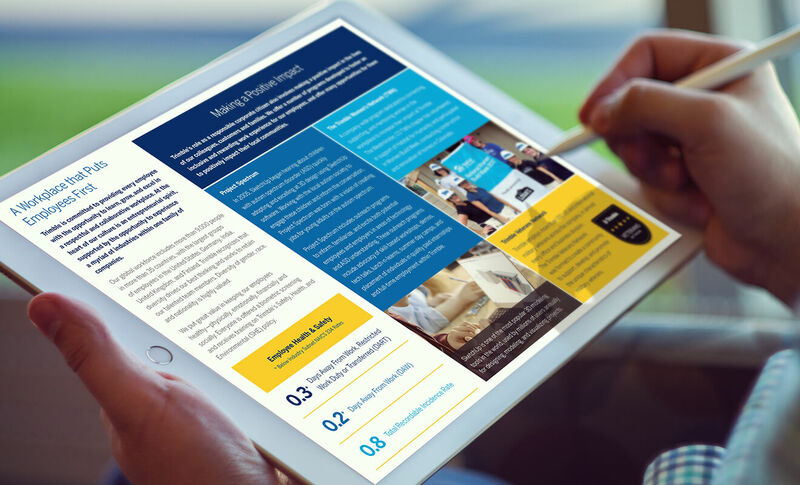 In 2016 and 2017, Domoto worked to convey the company’s dedication to purpose while we designed Trimble’s annual reports. For the RCC program’s public introduction, Domoto was honored to provide sustainability message consulting as well as design services in communicating the program’s launch. Trimble is a company driven by purpose, dedicated to “Transforming the Way the World Works.” Domoto’s hand in representing Trimble’s Responsible Corporate Citizenship (RCC) program sought to communicate the company’s highest mission, underscoring Trimble’s commitments as a company, an employer, and a contributor to society.